An exhibit of the Vestal Historical Society’s Military collection items. From local families and the families of the Vestal Historical Society. With “American War Writing” a Presentation from Wendy Galgan, sponsored by New York Council for the Humanities Public Scholar Program.12pm. June 18 – Sons of the Revolution Binghamton Chapter on "The American Revolution and Broome County" on Saturday, June 18 from 10:30 AM - 12 PM. July 16 – George Cummings presentation depicting one of General Clinton’s Soldiers from the 1779 Sullivan Clinton Campaign 1PM. Traveling exhibit “Civil War” from The Gilder Lehrman Institute of American History June 4 - July6. Traveling exhibit “War and Disability” from The Museum of DisABILITY History July 6 - July 30. 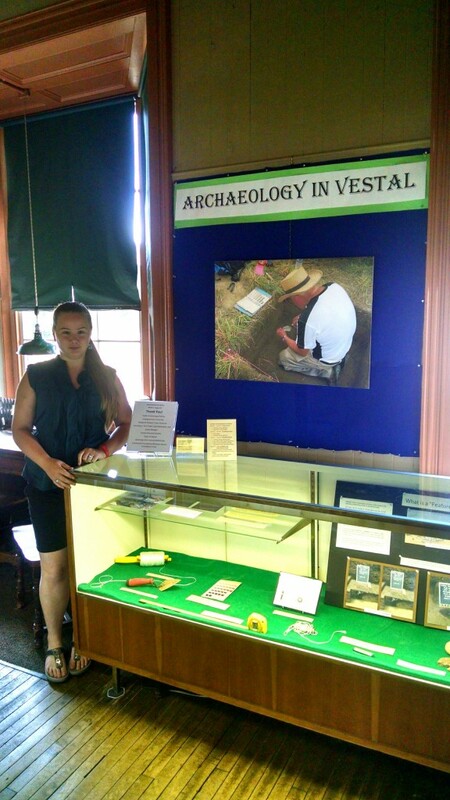 Join the Vestal Museum in welcoming the provate collections of The Vestal Historical Society. What do people who love history have in thier closets?